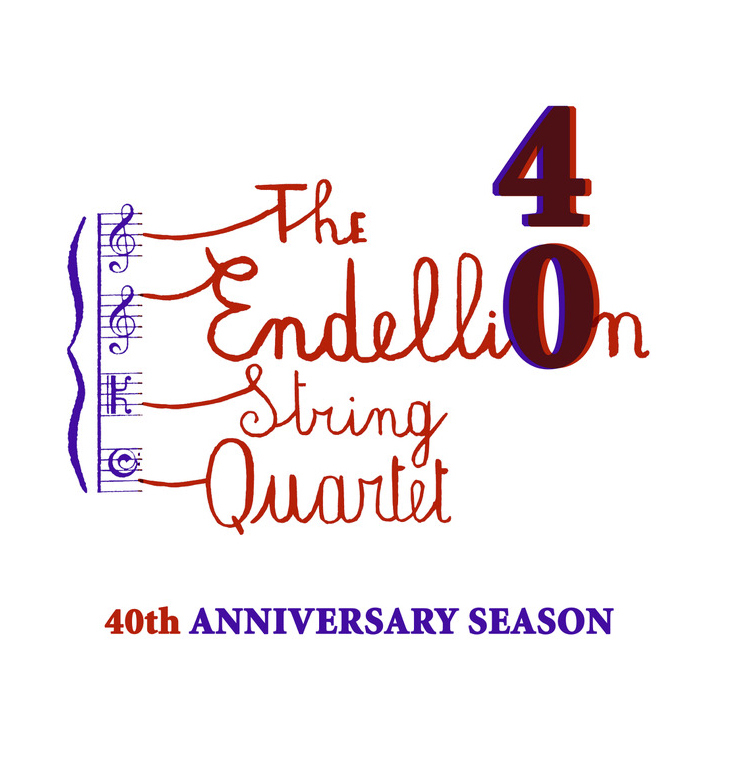 The Endellion is marking its fortieth year by commissioning Sally Beamish, Prach Boondiskulchok, Jonathan Dove and Giles Swayne each to write a short piece for string quartet. The unrivalled greatness, rich variety and sheer volume of the quartet repertoire have long nourished the Endellion’s longevity. However, there are relatively few short pieces for string quartet and the Endellion would like to contribute to making good this deficit. The London première of these pieces will take place at Wigmore Hall in May 2019. Also new in the Endellion’s repertoire will be a string quartet by the renowned pianist, Evgeny Kissin, which they will perform amongst other places in Prague, where the composer currently lives. In Britain, the Endellion String Quartet has appeared at nearly all of the major series and festivals and has broadcast many times on BBC radio and television. It has appeared at the Proms and been featured in the week-long BBC Radio 3 programmes ‘Artist of the Week’ and ‘Artists in Focus’. Its presence in London has been marked for many years by an annual series at Wigmore Hall and also by appearances at the Queen Elizabeth Hall where the quartet members were Artistic Directors of several ‘Quartet Plus’ series. The Endellion also continues its prestigious Residency at Cambridge University which began in 1991, gives a regular Spring series at The Venue Leeds and recently began a new series at Balliol College, Oxford. It has worked with guest artists including members of the former Amadeus Quartet, Sir Thomas Allen, Joshua Bell, Michael Collins, Benjamin Grosvenor, Marc-Andre Hamelin, Stephen Hough, Steven Isserlis, Mitsuko Uchida and Tabea Zimmermann. After the Endellion performed a Beethoven Cycle at New York’s Metropolitan Museum of Art, Strad Magazine marvelled over ‘the trust and risk-taking that comes from years of playing together — [it] was a true delight.’ Other recent and future highlights include appearances at Carnegie Hall in New York, Queen Elizabeth Hall in London, Amsterdam’s Concertgebouw, Zentrum Paul Klee in Bern, Ittingen Festival, Montreal’s Pollack Hall, a tour of Mexico including a performance at the Festival Internacional Cervantino, a fortnight of concerts and teaching in China and Taiwan, the Endellion’s first concert in Tchaikovsky Hall, Moscow, débuts in Ankara and Istanbul, and a return to Prague. The quartet has also undertaken three short-term residencies at the Massachusetts Institute of Technology (MIT) in the USA, and coached for MISQA in Montreal. From 2001 to 2010 it was Associate Quartet of the RNCM; and 2011 saw the start of its continuing position as Visiting Quartet in Association with the Guildhall School of Music and Drama. In 2017 the quartet performed and coached at Singapore Conservatory and Yale University School of Music. Released by Warner Classics in its 30th year, the Endellion’s recordings of the complete Beethoven quartets and viola quintets (supported by The Stradivari Trust) included rarely heard works, movements, studies, and fragments for quartet and quintet, as well as Beethoven’s complete early version of Op.18 No.1 and his remarkable quartet arrangement of his Piano Sonata Op.14 No.1. 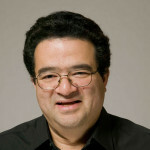 The texts used in these recordings were prepared by the notable Beethoven scholar and editor, Jonathan Del Mar, in collaboration with the quartet. The Observer commented ‘ … these superb musicians respond to the dark undertow so characteristic of Beethoven’s quartets as much as the gentle lyricism which invariably breaks through.’ The Endellions has also recorded works by Haydn, Mozart, Schubert, Dvořák, Smetana, Tchaikovsky, Bartók, Walton, Amy Beach, Barber, Foulds, Martinu, Bridge, Britten and Adès. Its Haydn recording for Warner Classics was called ‘extraordinary’ by International Record Review and their Britten was described as ‘enormously moving’ (BBC Music Magazine, 2014) and ‘quartet playing at the top level’ (Luister). Winners of the Royal Philharmonic Society Award for Best Chamber Ensemble in 1996. Ralph de Souza was born in Bombay and began violin lessons from an early age with his father, and later with Melbourne Halloween. His father, a doctor, was a self-taught violin fanatic who still gives impromptu violin lessons to any little children who come ringing on his doorbell, and whose other distinguished pupil was Ralph’s brother Harvey. Ralph’s mother cannot stand the sound of the violin not only because there are violins and bows cluttering up all corners of the flat, but mainly because she “lost” both her sons to musical careers in the West. Ralph was brought up speaking English as it was the only language in common between his Chinese mother and Indian father. His father chose the name to give his mother plenty of practice with the difficult consonants R and L! Ralph was put on a plane by himself at the age of ten to go to the Yehudi Menuhin School, where he found himself sharing a room with Messrs. Garfield Jackson and Nigel Kennedy. Having survived this culture shock he then went to the Curtis Institute in the USA to study with Ivan Galamian and Jaime Laredo. The Endellions started in 1979 and apart from the quartet I have also enjoyed performing chamber music with many other musicians including members of the former Amadeus Quartet, and the Belcea, Chilingirian and Elias Quartets, Shmuel Ashkenasi, Joshua Bell, Imogen Cooper, Jeremy Denk, Isabelle Faust, Julia Fischer, Philippe Graffin, Bruno Guiranna, Ivry Gitlis, Lukacs Hagen, Steven Isserlis, Stephen Kovacevic, Pekka Kuusisto, Mark Padmore, Gabor Takacs-Nagy, Denes Varjon, Sandor Vegh, and Tabea Zimmerman. I also love to teach both cello and chamber music and have taught at the Yehudi Menuhin School, the Royal Northern College of Music, the Royal Academy of Music, the Guildhall, and the Menuhin Academy at Gstaad. For ten years I was co-director with Joyce Rathbone of the Rathbone-Dickson course at Westonbirt, and I coach chamber music for ChamberStudio at King’s Place, London and for Maiastra. I have also taught for IMUSE in Enghien Belgium and for the Britten-Pears Foundation in Aldeburgh. For over eighteen years I have taught regularly for IMS at Prussia Cove. It is one of my favourite places on earth: I have been going for a week or two twice each year almost every year since 1976 either as a student, player or teacher. I have taught classes in cello, the string quartet, and the piano in chamber music. In July 2012, I gave a master-class at Wigmore Hall as part of the celebrations of IMS’s 40th anniversary and I have also participated in two IMS Tours. 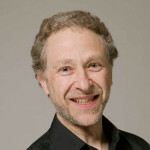 I sometimes participate as an individual in chamber music festivals such as in Wigmore Hall London, Oxford, Sheffield, Belgium, Mumbai, St Nazaire, Avignon and others, and I have been a guest-curator for the Leeds International Chamber Series. In 2017 , I was on the jury of the Geneva International String Quartet Competition. Writing is another preoccupation. I contributed a chapter on quartet-playing to the “Cambridge Companion to the String Quartet” ed. 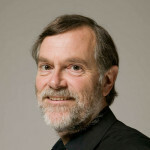 Robin Stowell (Cambridge University Press, 2003) and have had articles published in The Guardian, Strad Magazine, Philosophy in Cambridge, Quodlibet and other publications. Most recently, I wrote a long article on music education for string players, which was published by Strad magazine. Recently I have undertaken duties as a Trustee for the Albert and Eugenie Frost Trust, and an advisor to another Trust called Maiastra. Both are dedicated to helping with the development of young string players based in the UK. “I know we have done it like that for 30 years – and I have hated it like that for 30 years …” came a strangled cri de coeur in a thick mid-European accent from a string quartet rehearsal in the Queen Elizabeth Hall, loud enough to be overheard by several passing technicians. This true story has entered into the anecdotal lore of quartet players because it strikes such a deep chord with most of us. Having clocked up 25 years with the Endellion String Quartet I can report that the two most frequently asked questions by both interviewers and friends are “do you ever argue?”, and “how do you manage to stay together for so long?” The undercurrent beneath the first wide-eyed question is an idealistic vision of a quartet as a continuous idyll of glorious music-making with your friends, a working life as fulfilled and perfect as the Beethoven quartets we play. The implication of the second question is that this long and intense menage-a-quatre must be some sort of Strindbergian Dance of Death, endured by a species of subtle masochists. The truth, as is its wont, usually lies somewhere in between – although some groups veer strongly towards one extreme or another, especially if they last for decades. At the Strindberg end of the spectrum lies (I would think it safe to assume) the US-based Audubon Quartet who have been involved in startling American-style litigation against one another – one ousted member attempting to have the court seize the assets – including the houses and instruments- of the others, and to impose fines and imprisonment on them. More than one quartet has reached the stage where all direct verbal communications between two members has been replaced by the intercession of a third thus – ” would you mind asking our esteemed second violinist to desist from rushing at letter B ? ” “Would you kindly tell our fine first violinist that it is he who is dragging?” And more than one quartet has had to survive the beginning, middle and end of romantic relationships within the group –complicating everything while they last, and threatening the group’s survival when they end. For example, the aptly-named Bohemian Quartet was somewhat discomfited when their violist, Oskar Nedbal, ran off with the first violinist’s wife in 1906 just prior to a British tour. Lionel Tertis filled in for Nedbal who was deemed by the press to be “indisposed”. The backgrounds of the Endellions are a little less homogeneous. Our first violinist Andrew’s grandparents were two Christian missionaries in India and a fish merchant and his wife from Grimsby. Our second violinist Ralph’s maternal grandfather was Chinese – from a family of Cantonese traders and gold-smugglers, and his paternal grandfather a Goan Indian small landholder (but to judge from the heartfelt atheism of Ralph’s father, decidedly not one of the successes of the Watkinson missionaries!) Our violist Garfield’s grandfathers were respectively a Chief Stoker on a Royal Navy battleship (on a travelling schedule that makes any quartet’s itinerary look like a few brief holidays) and a Wiltshire man who spent many years working in Tripoli as a clerk of works. My own grandparents were poor Yiddish-speaking Jews from assorted Jewish shtetls in Berdichev (Russia, or present-day Ukraine) Lithuania, Lodz in Poland and Sunderland; the first three came to Britain as refugees from pogroms, persecution and poverty. It boggles the mind to imagine what sort of conversation these sixteen individuals would have if we could miraculously conjure them up together into the foyer of Wigmore Hall – which most of them would anyway find a bewilderingly alien place. On top of that, Andrew studied in Switzerland and Russia, Ralph in Philadelphia, and Garfield in London while I studied philosophy for six years at Cambridge and took cello lessons privately. For us, these pronounced differences of background and musical influence mean that our inputs have a rich variety out of which we somehow have to make a convincing synthesis in our ever-developing dialogue or “quatrologue” with one another and with the music we play. Conversely, there is an obvious danger that individual criticisms can become destructively hurtful, personal and bitter. If they are voiced too harshly and personally, no-one ends up in a fit state to play. After all, the deep feelings conjured up when we play great music already make us feel particularly vulnerable; and also, virtually all playing requires maximum self-confidence and complete physical ease and relaxation, even (or especially) in music of great intensity and ardour, and in music which is rapturous or celebratory. So suggestions or criticisms ferociously barked at a colleague with an anger bordering on hatred, or with withering contempt, are likely to be counter-productive, and are preferably avoided if at all possible (not always easy!). The intensity of the quartet relationships in rehearsal and performance is paralleled by the stresses of being “business partners” and travelling companions on tour. There seems to be a generation gap reflected in quartets’ attitudes towards their schedules and their Quartet commitment. Many of the previous generations of quartet players e.g. the Budapest, Amadeus and Guarneri quartets committed themselves to playing virtually exclusively in their quartet, especially in their earlier days. Today’s quartets often tend to take steps to minimise the inevitable intensity of their quartet existence principally by restricting their quartet’s season and encouraging one another to engage in different aspects of musical life. The Hagen and Alban Berg Quartets, for example, play together for only about 6 months of the year. The Endellions have between us always embraced a variety of solo concerts, teaching, chamber music with other groups and orchestral activities, whilst being clear that the quartet is our first priority. This tendency is if anything increasing. Excellent and serious new groups like the Zehetmair and the Quince Quartets are emerging which are part-time right from the outset, the latter distributed in four different countries. In many ways this is a return to the ethos of the 19th century in which full-time permanent quartets were almost unknown. Travelling separately and staying at different hotels is also surprisingly common and not always by any means a sign of dysfunction – although this would feel very strange to me and my colleagues, pampered as we are by Garfield organising all that side of things for us, from flights to hire-cars to hotels – and doing most of the driving with his unerring memory and homing instinct for concert halls – making maps a dispensable luxury. (Only once was I slightly worried very late at night in the middle of nowhere in upstate New York. Garf was for once a little lost and hadn’t bothered to bring a map for the remote country cottage we were aiming for because after all, we had once before stayed there only 9 years earlier. Of course he found it soon enough.) Also it would be a sad day for us if on tour we did not go to Chinese restaurants together, leaving all the ordering to our food supremo, Ralph, who knows what we like , and orders half the menu – plus many a dish not on the menu- usually enough for an octet. No, the answer lies quite simply in the glorious miracle of the vast panorama of great masterpieces that is the quartet repertoire. It is the repository of the most intimate, heartfelt, imaginative, ever-fresh creations of most of the greatest composers of the last 250 years. It is a never-ending challenge and delight to try to deepen our grasp of these fathomless masterpieces; that is what lures all quartets on and keeps us happily – or unhappily – enthralled. Article by Andrew Watkinson, first published in 2004 in the Endellions’ 25th Anniversary Booklet. I suppose the first hint was when I received a phone call from David in January 1977, asking me if I would like to meet to play through some quartets. I didn’t know David, but we had a mutual friend who played viola with us and another friend of David’s played violin. We must have enjoyed ourselves because David and I continued to meet from time to time with different players to read through the quartet literature. These occasions were often followed by a meal in David’s local Chinese restaurant, the Green Cottage (still a regular haunt), and gradually we began to think about finding some regular occupants for the other two seats in the quartet. The viola position was readily filled – I knew Garfield from the Menuhin School, the St Endellion Festival in Cornwall and freelancing in London, so we started to do the occasional concert as a string trio. Finding a second violin was much harder but eventually we asked Louise Williams (who David knew from playing in Pizza Express quartets and a mysterious breakfast in King’s College Cambridge) if she would like to come to play through some quartets with us. It went well and she agreed to join us. January 20th 1979 was the day of our first rehearsal. We had different attitudes to the idea of playing quartets for gain. David’s path towards it had been indirect but typically determined. He was the third child of an extremely musical family. Both his sisters were precociously talented and after brief flirtations with both violin and piano (his parents’ and his sisters’ instruments) David dug in his heels and refused to play anything. Some time later he decided to take up the cello. Of course he was very good at it so to thwart his parents’ expectations he decided to go to Cambridge rather than study music. Seven years later he had a PhD in Philosophy (surprisingly his doctoral subject was to do with free will!) and was in London wanting to be a cellist in a string quartet. Garfield, though only 21 and still a student at the Royal Academy, had already been playing quartets seriously for four years. He had achieved distinction by having been the longest serving inmate at the Menuhin School, where for nine years he had had two lessons a week from a violin teacher he loathed! (I should add that he is grateful to the school for teaching him about stage management and page turning!) As luck would have it, my call to ask if he would consider playing with us came just seconds after he returned all the music he’d been using in his previous quartet. So, whilst not being against it in principle, he could perhaps have done with a few hours off! Louise was brought up in Oxford and had taken to the violin like a duck to water. She had recently returned from completing her studies in the USA and had played chamber music for years and thought it was a wonderful idea to settle down and focus on a quartet. She was also on the point of getting married, so her life was changing dramatically. I was ambivalent. From the age of 12 some of my most wonderful experiences had been connected with playing quartets: a weekend at the Menuhin school when four of us stumbled across a volume of middle Beethoven quartets and spent hours laboriously devouring them; weeks at Dartington Summer School spending twelve hours a day discovering the quartet repertoire with amateur players who already knew it back to front. I feared that working at this wonderful music, and playing to an audience rather than for ourselves might ruin this extraordinary and miraculous pleasure. From the first rehearsal there was a burning question: should we enter the first Portsmouth International Competition (now the London International Competition), which was to be held in April. We were divided between those who thought it was far too soon and those who thought it would give us a goal to work towards. (I no longer remember who was in which camp.) Something persuaded us to give it a bash, so the next deadline was to choose a name before the closing date for entries. As anybody knows who has ever had to decide on a name for anything from a boat to a pet rodent, it is a tortuous business, and one that very easily descends into hysterical confusion. So after a few hilarious but unproductive sessions it was decided that at our next rehearsal we should each arrive with four names to be reduced to a short list on which we would vote. (David had devised some complicated system of preferential voting.) Elliot, Alexander and Turner were all names that we considered but in the end we voted for Endellion, and at 11 o’clock that evening I rang the Rector of St Endellion church to ask for his and the village’s approval. We just made the competition closing date, though without the required photograph for the programme! We should have had a comfortable 10 weeks to prepare for the competition – after all, it was only a question of learning four pieces and the basics of quartet playing. Unfortunately, however, David went down with pleurisy which wiped out three weeks. We still managed to fit in a few warm-up concerts, the first of which (and therefore the quartet’s first concert) was in Alleyn’s School, Dulwich, on March 3rd. I believe David still has a tape of this concert, though we would all pay him a lot to lose it! We arrived in Portsmouth expecting nothing so with nothing to lose. My clearest memories of the days there are of hearing the Takacs Quartet (the eventual winners) giving a breathtaking performance of the Schumann A major quartet, and of my walking onto the stage to be assigned our playing time for the final, clinking like a milk float! We were so certain after the second round that we would be on our way home that we had bought a considerable number of bottles of beer with which to drown our sorrows, and most of them were distributed about my person! In fact we were awarded the Audience Prize and the second prize, which gave us lots of concert dates around Britain, an entrée to the BBC and an agent. In the next season we gave 130 concerts and we soon had agents in many different countries and were playing everywhere from Oslo to Dunedin! We were very fortunate, not only in that beginning to our career, but in the way that we managed to adapt fairly quickly to spending a large proportion of our lives together, without too much of the tension and acrimony from which many quartets suffer. In the early days I think we were lucky to have Garfield’s experience of other groups, David’s wise and philosophical attitude to life and Louise’s intuitive awareness – not to mention her willingness to carry everybody’s luggage the whole time! I probably added a readiness to work all the hours of the day and night. We played to a few people for advice in those early days. 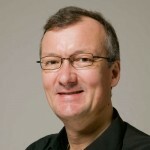 Hans Keller would sit immoveable throughout a whole quartet (apart from lighting one cigarette from the stub of the previous one) and at the end would say: “There are seventeen points” and proceed to go through them, complete with subclauses, without for a second losing his line of thought. He had a wonderfully clear idea of the bones of quartet playing as well as an extraordinary ear and imagination. Sigmund Nissel was absolutely insistent on the rhythmic integrity of the pieces we played him, and helped us all to understand the inside players’ role, and Sandor Vegh was able to lead us, in spite of his extraordinary English and ferocious manner, into worlds of mystical and emotional intensity that stay in the memory 25 years later. The most difficult year was undoubtedly 1983, and it all came down to having to spend too much time away from home. We had a 3 week trip to Australia and New Zealand, spent a similar length of time in America, were in Finland for a fortnight, Denmark for a week, as well as trips to Holland, France, Germany and such distant places as Scotland and Yorkshire. We concluded that such an amount of travelling was definitely too much, and that if we were to have any chance of enjoying playing together we would have to spend far less time away from home. (The only really good thing that came out of this was that in a hotel room in Hamilton, New Zealand we started to play bridge together – which we still do before and during the interval of almost every concert!) It was also in this year that we received one of our most prized reviews, from a concert in the Hague, which after recounting our failings in loving detail advised us to think very carefully before daring to play outside Britain again! And so the years rolled by, and we find that it is 25 years since that first rehearsal. After 17 years Ralph is no longer the new boy and we are definitely no longer an “up and coming quartet”! (Is there anything between “up and coming” and “down and going”?) We must now have given around two thousand concerts and although we certainly can’t remember all of them we can usually recall the meals! Some stand out: from the early years, playing in the cauldron of the Great Hall at Dartington, where it was always incredibly hot and the audience seemed to envelop us with the intensity of their listening. (After one concert there Sandor Vegh made the gloriously ambiguous comment to Peter Maxwell Davies that his quartet was a “ho-o-opeless piece”!) Playing in Bridlington to an audience of 15, nine of whom had been dragged unwillingly from the youth club next door at the last minute. The barn at Breaky Bottom where the audience sat and lay on hay bales; playing all the Beethoven quartets in Bogota, where they keep an oxygen cylinder in the dressing room because of the altitude. Playing at the Carved Angel restaurant in Dartmouth where the fee was the magnificent meal we received afterwards. Playing a Brahms Sextet in the Harrogate Festival with Norbert Brainin and Martin Lovett – no one had warned us that in the first half Norbert would be sitting in the front row of the audience ten feet away! The concert in an upstairs room in Ballymena, which we had to abandon at the interval because a dance band had struck up forcefully in the room below! More recently the thrill of playing Haydn quartets in the Esterhazy Palace in Eisenstadt, the poignancy of performing Haydn’s Seven Last Words with Andrew Motion reading his almost unbearably honest and touching poems in between, and the fevered intensity of the final concerts of the Haydn, Beethoven, Schubert and Mendelssohn Fests at the Royal Northern College in Manchester. We have been indebted to many people over the years: to Andrew Green, our first agent, who gave us an amazing launch into the musical world, then Richard Apley and Fiona Blyth, who looked after us at Ibbs and Tillett until that business folded in 1992. Since then, to James Brown and his many helpers at Hazard Chase, especially Juliet, Sibylle and Libby. To promoters who have been especially loyal: Gordon and Valerie Woods at the Cricklade Festival, Maricarmen Palma at La Caixa in Barcelona, Amelia Freedman at the Bath Festival and Chris Rowland at the RNCM. To Ros Buffery who helped to start the Residency at Cambridge University which has become such an important part of our lives, and still gives us tea before every concert there. To Peter and Irene Gore, who just by attending so many of our concerts and by continuing to be enthusiastic and appreciative help us to believe that we may be getting somewhere. But the greatest gratitude must be for the music itself. How extraordinary that we can arrive to rehearse a quartet that we have performed more than a hundred times and experience again the intense commitment, wonder and sense of discovery of the very first rehearsal, together with the joy of being wrapped up in music we have loved for many years. How amazing, after a quarter of a century in which people’s lives and work circumstances have changed more drastically than ever before, that our job is at heart exactly the same as it was when we started. How privileged to be doing something we love and receiving so much appreciation from the people for whom we play. How miraculous that we have as our raw materials the infinite subtlety and good humour of Haydn, Beethoven’s electrifying synthesis of humanity and spirituality, and the kaleidoscope of joy and pain, defiance and resignation of Schubert….. The music’s possibilities are limitless, there is no “definitive performance”, the path of discovery can continue until our fingers or our energy give out. Thank you!